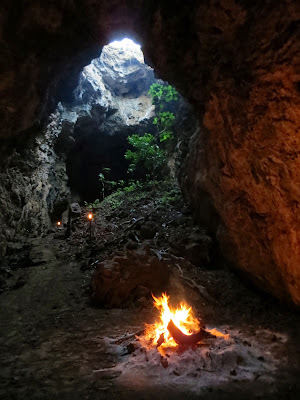 Dining below the Earth's surface in a cave lined with flaming torches, dimly lit lanterns, and local Maasai? Last night our guests here at Campi ya Kanzi had the opportunity to just that! 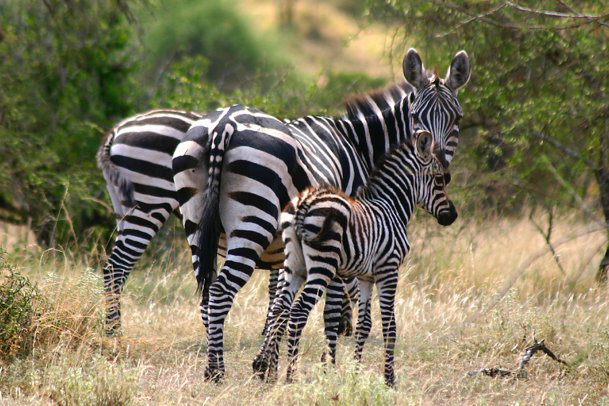 Our evening started off with an leisurely and scenic walk for approximately 40 minutes from Campi ya Kanzi through the plains of Kuku Group Ranch. 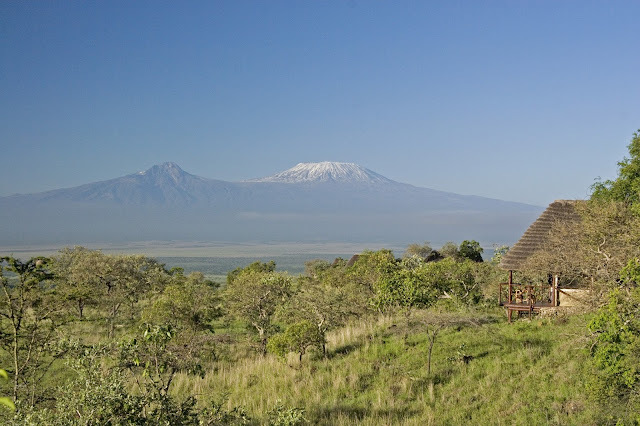 Campi ya Kanzi guides led us through the vast and beautiful plains, which are beckoning for the rains to come. The walk made for some excellent bird watching, viewing of fresh lion paw prints, and learning about the grazing practices of the Maasai in the area. The group walks along, anticipating the destination! Please enjoy the photos we have provided below! 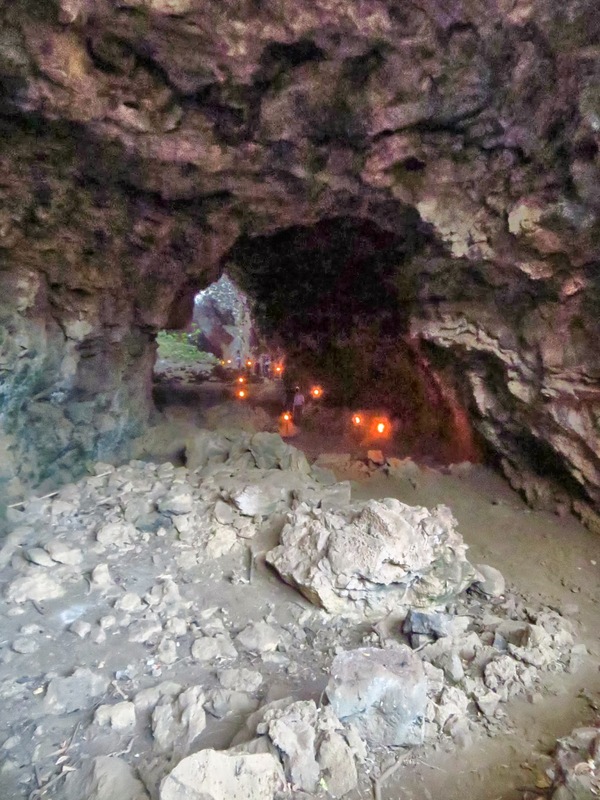 It is not an easy venture to truly capture the essence of the warm and calming energy of the cave. 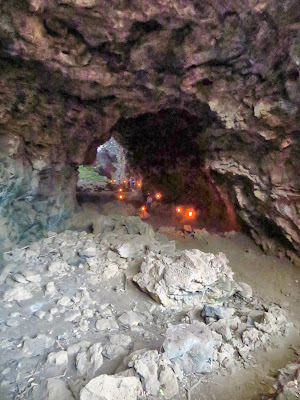 The lighting from the laterns and the candles combined with the darkness of the cave contribute to a relaxing and spiritual inner and outer body experience. One that cannot simply be captured through an image. 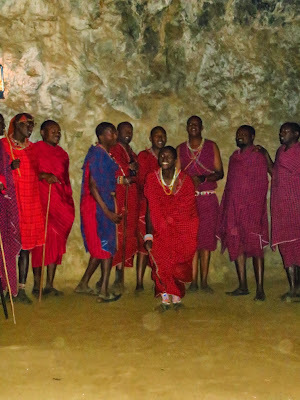 Before dinner was served, guests were surprised by local Maasai men and women who entertained us with traditional forms of signing and dancing. Guests also joined in on the dancing! Maasai performing cultural singing and dancing provided exciting entertainment for our guests! Everybody joined in on the entertainment! 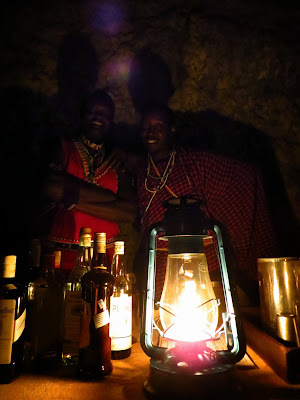 After concluding our evening with great company and conversation at the dinner table and a warm cup of tea, guests loaded into our safari vehicles and made the short drive back to Campi ya Kanzi!